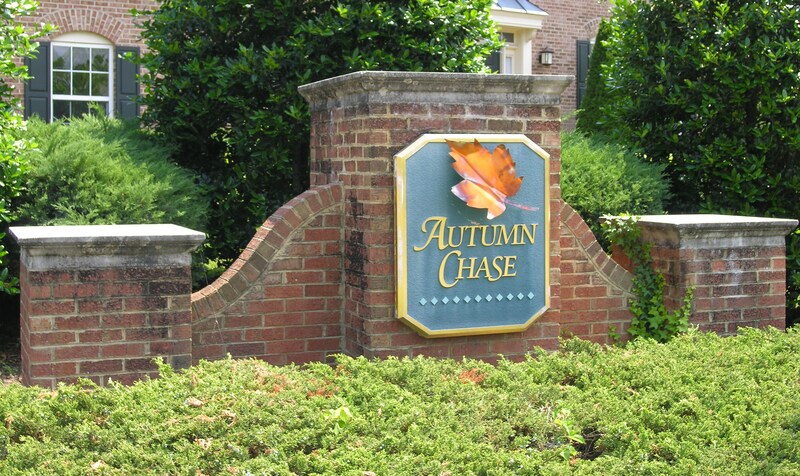 Home » Autumn Chase to add four BRAND NEW home sites to the community! Evergreene Homes, the builder of the highly desirable Autumn Chase Community, has announced that they will begin construction on four new home sites to be completed in 2015. Three of the four homes will be located on Schurtz Street, and the models being offered are the Barrett at approximately 3,500 square feet, the Oxford at approximately 4,000 square feet, and the Dartmouth, which we currently do not have the square footage of. The fourth home site, set to be on Beulah Street, is estimated to be a huge property, sitting on over an acre-lot. Once we receive further information on these homes, like pricing and specific addresses, we’ll be sure to update the blog. Autumn Chase has some terrific community amenities for those unfamiliar, including tennis courts and tot lots/playgrounds, and it’s also very close to the Kingstowne Towne Center and newly opened Springfield Town Center, which feature tons of great shops and restaurants, including Bonefish Grill, Chuy’s, Maggiano’s and more. For further information on the soon to be built homes, you can contact Rich Rudnicki at 703.652.2949, and you can also read the overview of the plans at the Evergreene Homes website here.